You may wish to see a page on the Acropolis of Fermo or on Piazza del Popolo first. 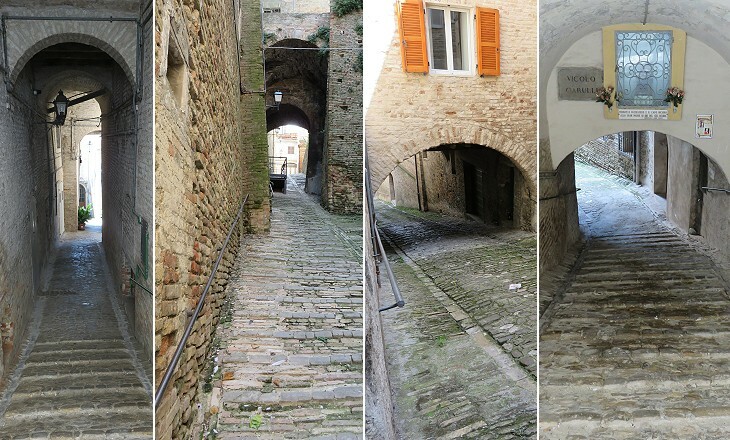 We very soon found that the streets of Fermo are not such as to be traversed by wheeled vehicles unnecessarily, - many of them being so steep as to make wheel traffic wholly out of the question. 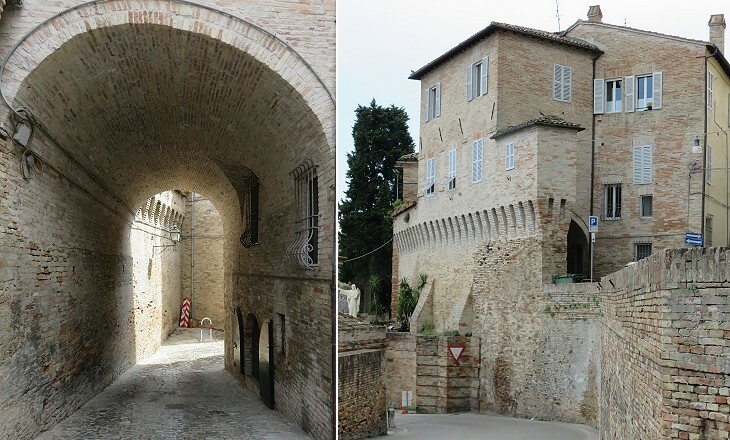 In the late XIXth century the medieval walls of Fermo were in part pulled down to facilitate the access to the town and to avoid bottlenecks at the gates. Apart from the Cathedral, there are not many churches in the upper part of the town. They seem to have been built on purpose along a ring at the foot of the hill. 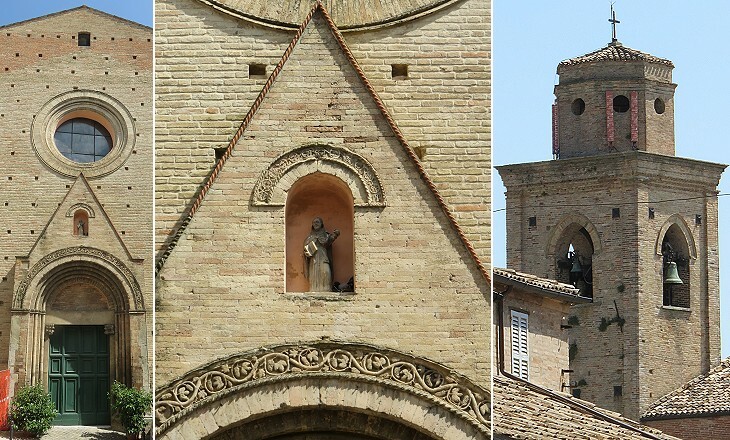 S. Francesco is not the oldest one, but it is definitely that which most catches the eye of the visitor because of its imposing apse at the main entrance to Fermo. It was built on purpose near the walls because the Franciscans, at least initially, chose not to have their convents in central locations. The round windows at the top of the apse are an 1894 addition aimed at improving the illumination of the interior. The façade was redesigned in the XVIIIth century after the church had been damaged by an earthquake in 1703. The bell tower retains the original brickwork decoration, but it has lost the ceramic discs which were placed inside the pointed arches. A similar brick pattern can be noticed in a bell tower at nearby Ripatransone, whereas ceramic discs were often employed to decorate Romanesque bell towers in Rome. Moving about Fermo requires strong legs and a good sense of direction which cannot be replaced by maps or satellite navigators. The church was founded in 1233 on a piece of land donated to the Dominicans by Giovanni Albertone Paccaroni who had been impressed by having met St. Dominic of Guzman during a visit he made to the town in September 1214. 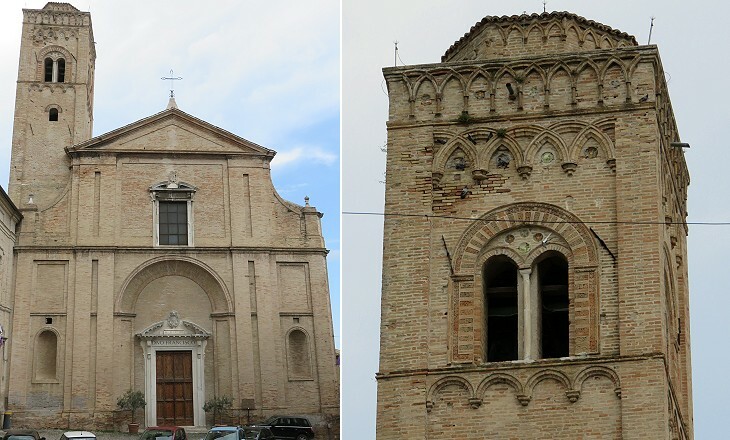 That of Fermo is therefore one of the oldest Dominican churches in Italy. It was largely modified in the XVIIIth/XIXth centuries, but it retains a fine portal of the XVth century. Although St. Augustine of Hippo lived in 354-430, the Order named after him was founded in the early XIIIth century, shortly after those of the Franciscans and the Dominicans. The Augustinians built convents in many towns throughout Italy, usually not close to those of the other two orders. 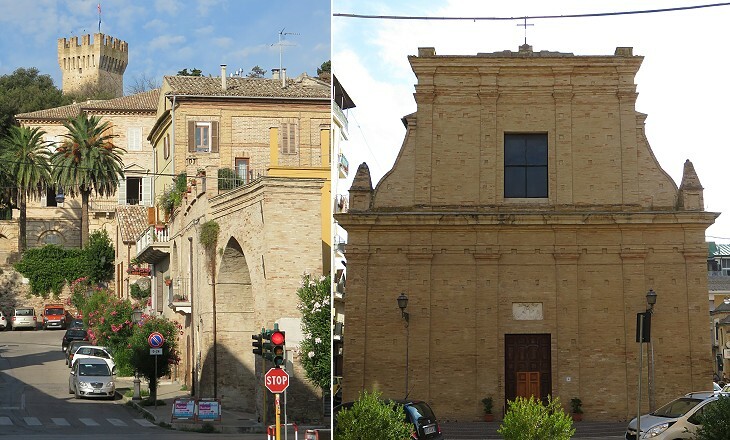 This is noticeable at Fermo where their church and that of the Franciscans are situated at the opposite ends of the town. S. Agostino was completed in 1250, but only its right side was not affected by modifications/enlargements and retains its very medieval design. 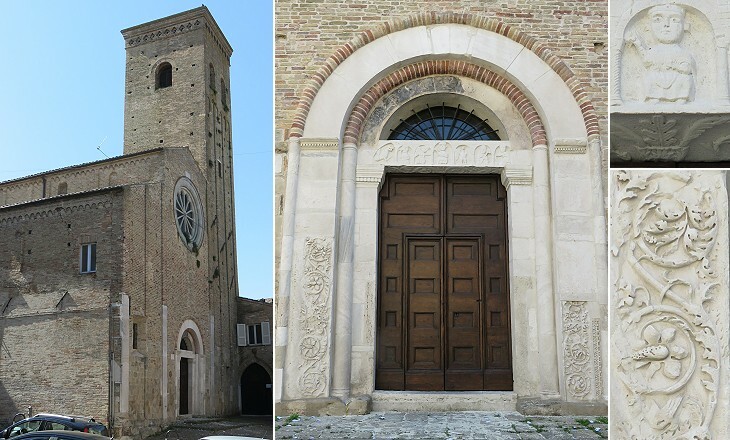 S. Zenone is the oldest existing church of Fermo. Its dedication to St. Zenone, Bishop of Verona in the IVth century, is rather unusual in the region. It served as the Cathedral of Fermo before the completion of the new one at the top of the hill. The portal includes materials taken from Roman funerary monuments and a roughly sculptured lintel, which maybe decorated a previous church in the same location. Similar to S. Zenone this very old church retains its original portal dated 1251. The bell tower was most likely completed at the same time. 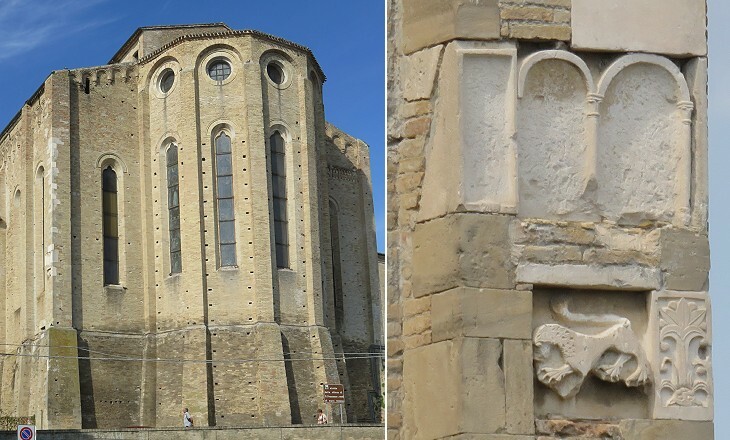 The church was part of a monastery belonging to Abbazia di Farfa. 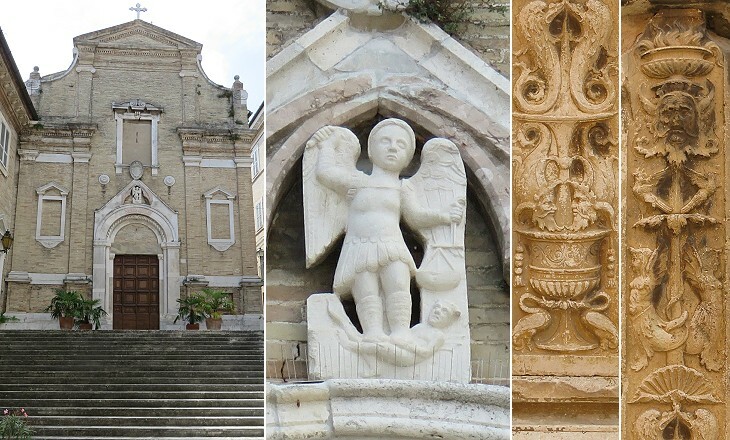 At the time of its foundation the church was situated outside the walls of Fermo on a steep slope of the ground which the locals called penna. A restoration in 2010 cleaned the portal which portrays St. Peter and ten apostles: they all seem to be in a cheerful mood. A collegiate church is one where a college of canons ensures that ceremonies are held with some pomp. In a town which is a bishopric see it is the second church in rank after the Cathedral. 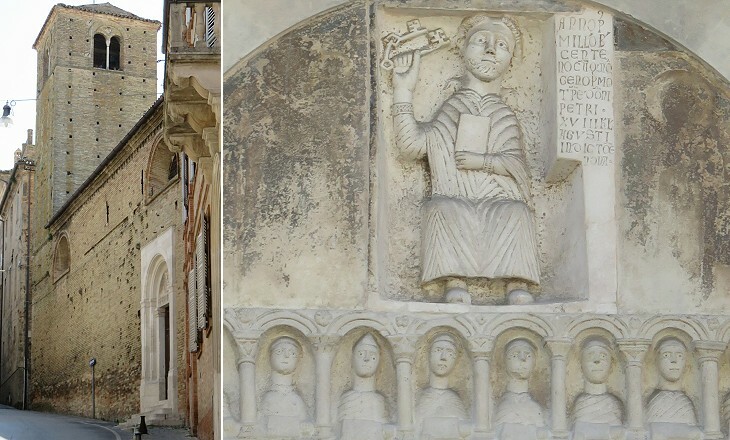 A 1724 chronicle describing the first day in Fermo of Archbishop Alexander Borgia indicates that he visited Collegiata S. Michele immediately after the Cathedral. 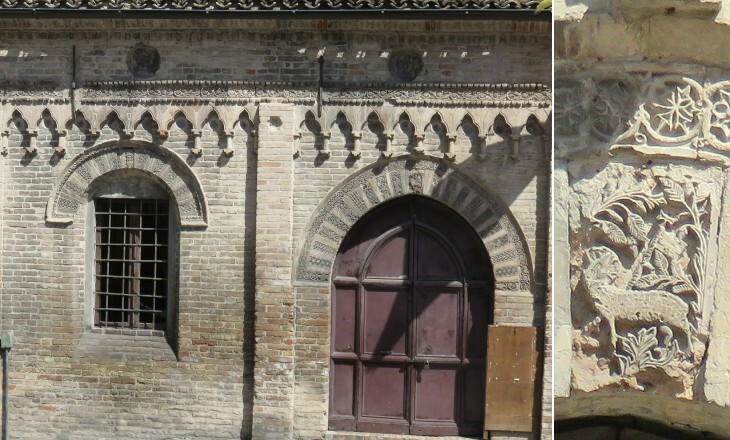 It was built in the XIIIth century, but the façade was modified in 1591. The Chapter of the church met in an adjoining building which retains a portal decorated with very fine candelabra. In 1164 Porto San Giorgio, a very tiny harbour, belonged to the Chapter of the Cathedral of Fermo. In 1266 it was leased to the town. Lorenzo Tiepolo, at the time Podestà (temporary foreign ruler) of Fermo, built a fortress which retains his name. He eventually became Doge of Venice. 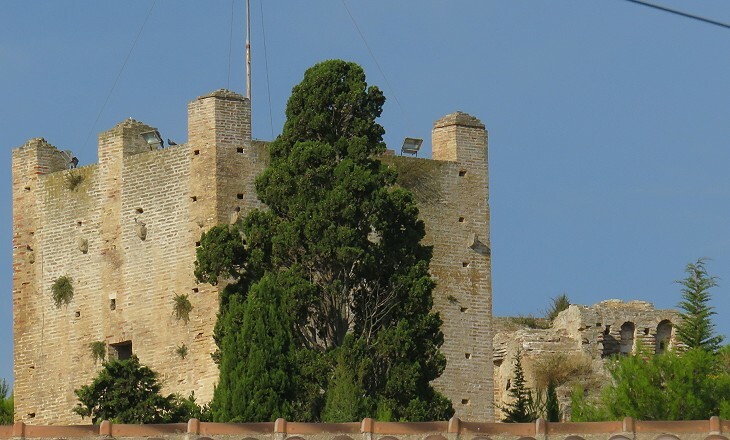 In 1362 the fortress was strengthened and walls were built around the small settlement which however never grew much because of the threat of Ottoman raids. In the XVIIth century the sea began to recede and the historical settlement is today 600 yds. from the coastline. Jérôme Bonaparte was the youngest brother of Napoleon. He was a pain in the neck to the Emperor, in part because he was appointed to positions, including that of King of Westphalia, when he was too young to properly fill them. In 1823 he joined his mother Letizia Ramorino and his brother Luciano in Rome. In 1825 he visited Porto S. Giorgio, he liked the place and he commissioned the construction of a villa where he lived with his wife Catharina of Württemberg between 1829 and 1831. In a way he was the predecessor of the some 20,000 foreigners who spend every year a day at the long beach of the town. Return to The Acropolis or to Piazza del Popolo.